The first level is shooter status. 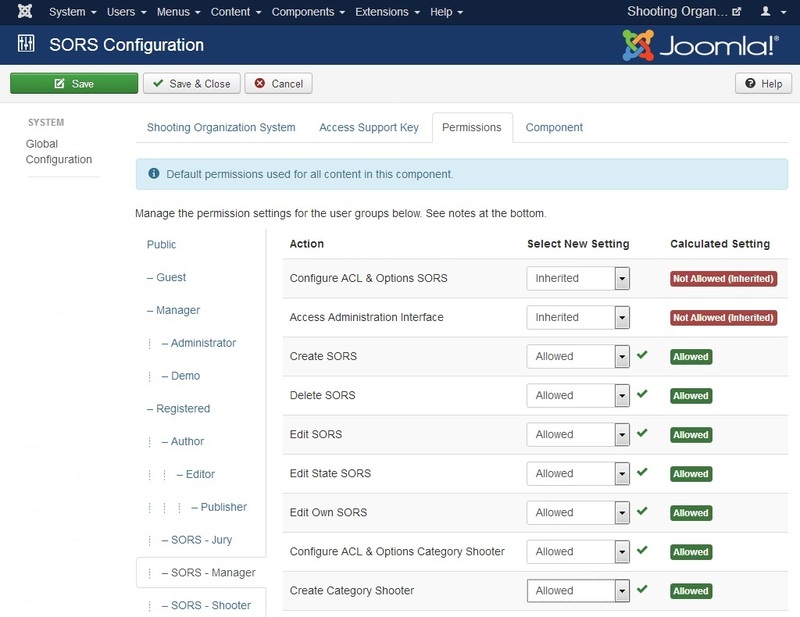 The basic status of the shooter will automatically be achieved by anyone who enters the SORS system as a shooter (whether a member of a shooter club, or a foreign guest or sponsor involved in SORS). The shooter has the rights to modify his / her own user account, which contains information about his / her person (and data relevant to the needs of the shooter association and club chairpersons) and may change and edit them at any time. Each shooter is assigned to the parent club and to the respective category I.P.S.C. In addition, he / she can add (record) his / her weapons to his / her user account (for registration purposes, for example, in a match). The number of loaded weapons is unlimited in the shooter. Subsequently, as a registered shooter in the SORS system, he / she can enroll for organized racing races without the need to fill in the application form or to develop other activities related to the entry into the match. The organizer of the race has all the necessary information about you immediately. You can login (or logout) with a single click in the SQUAD (you can choose SQUAD to shoot with, for example, your colleagues who are already signed in to SQUAD). The second level is the status of manager. The SORS manager must first register as a shooter. The manager (usually the club chairman) has, in addition to the status of a shooter, assigned a system status to the MANAGER who authorizes him to assign a club to his SORS system (and publish all club information) and create, edit, and evaluate shooting matchs. Each manager can edit and evaluate only the matchs he has entered. Level two, assigns the administrator with the appropriate rights (which may be the system administrator or members of the presidium) and therefore the status of the MANAGER can not be obtained automatically. The administrator's rights are allocated to the system by the administrator. The third level is the highest level and has full control over the entire SORS system. It is assigned to the top functionaries of a shooter association or association that gains full control over everything SORS has.Every record of the SORS system (for example, adjustments to a manager's race, editing user accounts or information changes), accurate records are kept in the system. Level three is assigned by the administrator with system administrator privileges, and third-level status can not be obtained automatically. All members of a shooter association who are required to receive third-level status must first be registered in the system, with first-level status, that is, shooter status.This obligation does not apply to people (administrators) who do not participate in shooter activities but provide IT services for the SORS system.Such people are only registered through the SORS administration system.